Here are some travel tips to make your trip as smooth and as enjoyable as possible. Passport Validity - It is important to check the expiry date of your passport before travelling. As a general rule, passports should have at least six months of validity when travelling internationally. Most countries will not permit a traveller to enter their country unless the passport is set to expire at least six months after the final day of travel. That means if your passport has less than six months remaining until the expiration date, you should renew it right away! Visa Requirements – Australians are lucky; Aussie passport holders can visit 169 countries, either without having to get a visa, or simply by getting one on arrival. To find our if you need a visa for your international trip visit the Australian Government’s dedicated website www.dfat.gov.au/visas It is your responsibility to arrange the necessary entry documentation. 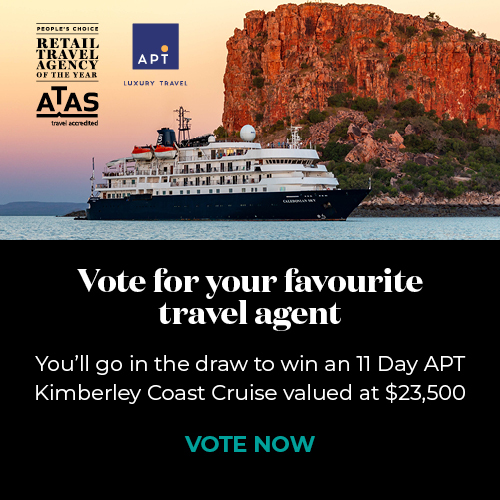 An ATAS travel agent may be able to assist you, so make sure you ask. Register your travel plans - Whether you are travelling overseas for leisure or business the Department of Foreign Affairs and Trade recommends that you register your travel plans with Smartraveller.gov.au before you leave Australia. This helps the Government contact you or your family in the event of an emergency. Travel Insurance - When travelling overseas it is essential that you purchase travel insurance. Travel insurance is all about protecting you against the unexpected. Travellers without travel insurance are personally liable for covering any medical and associated costs they incur. The Australian Government won't pay for your medical treatment overseas or medical evacuation to Australia or a third country. The Department of Foreign Affairs and Trade (DFAT) has teamed up with independent consumer advocate CHOICE to provide two simple travel insurance guides for you, the Aussie traveller, to help you get the right insurance for your trip. You can check it out here. Many policies don’t cover risky activities such as motorcycle, moped riding, skiing, parachuting, scuba driving or surfing. Make sure the policy you choose covers you for your holiday destination and the activates you’ll be undertaking. Don’t just pick insurance that’s the cheapest. Travel documentation – Make a copy of your itinerary and share it with a friend or family member in case of emergency. It’s a good idea to give them a copy of your passport as well. You should copy & file important travel documents (including your passport) in case it’s lost or stolen. One in your luggage bag and one in your wallet or purse. This makes for an easier process when contacting the Australian Embassy in the event of a problem. Currency Exchange – It is a good idea to convert some cash into local currency. It’s always nice to have a little cash handy for food and beverage or the taxi when you arrive. Power Adapter – It’s a small item, but an important one! Make sure you invested in a power adaptor specific for your destination. Medication - If you require prescription medication, ensure you pack it in your carry-on luggage. It’s a good idea to have a letter from your GP, stating the name of the medicine, how much you are taking, and that it is for your personal use. Vaccinations – Ask your GP for recommended vaccinations for your destination. Some vaccinations can be an entry requirement for certain countries.